Curiosity sent me to the building department at City Hall on Wednesday afternoon. As it turned out, a permit had been picked up earlier in the day for the construction of an Auto Zone store at that very spot, at 1401 Ninth Ave. S.E. 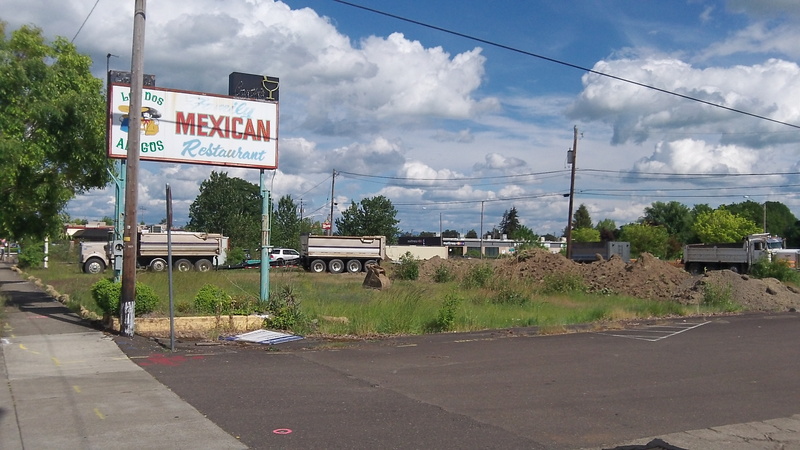 This chain outlet, measuring 7,380 square feet and valued for permit purposes at about $653,000, is being built by Corstone Contractors out of Snohomish, Wash.
Years ago the site was occupied by a restaurant named Los Dos Amigos, as a sign still standing Wednesday reminded passersby. At least three other auto parts stores are within about one minute’s drive from this location, but apparently the Auto Zone people thought there was room for one more. 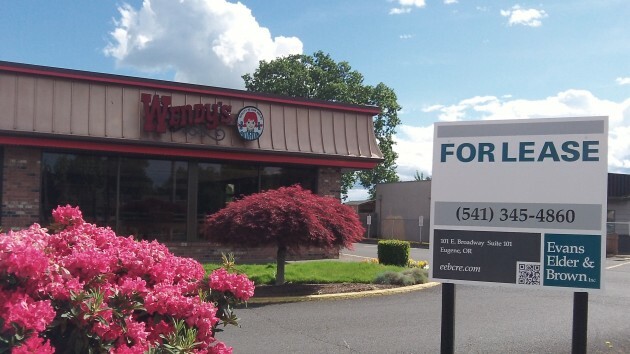 Reopening the Wendy’s restaurant does not appear imminent. Wow, a 5th auto parts store within minutes of each other. This doesn’t make sense to me. It makes perfect sense. Just like having all of the grocery stores clustered in the same area of town– including the upcoming Winco. If 90% of the town has to drive 15-20 minutes to select from a handful of grocery or auto parts store, it might start to qualify as a “geographical oddity”. Here in the Pacific Northwest, it’s natural for cities and towns to be geographically discombobulated because of our locations near rivers, creeks, and in Albany’s case, a railroad line that splits everything. Locations of businesses, big and small, is not a natural or easy decision here, but when a big boy comes to town (Lowe’s), the smaller kids will follow such as Auto Zone. For me, I’m happy to see the SE 9th developed, and next would be SW Pacific that needs a grocery store! Safeway, please be a team member of this city, sell your vacant store and lot, heck, just put in your own Wendy’s franchise there! !